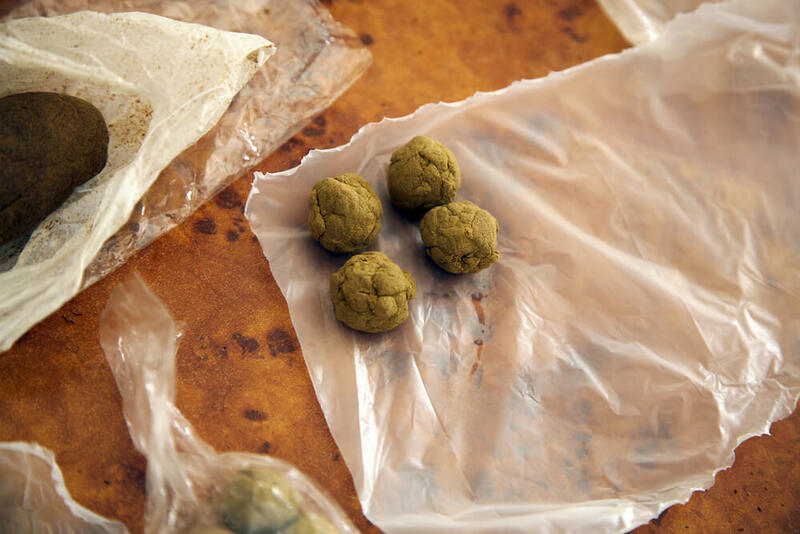 What is Hashish and How Can You Make it At Home? Long before dab culture became a thing, hashish culture was the norm. Without hashish, there would be no shatter, no wax, no budders. Everyone would still be rolling fresh flower, with no idea that a concentrated version existed. Hash is still a considerable part of cannabis culture, even if you don’t know it. In many ways the roots of concentrates. With the rise in popularity of newer concentrates, many people have forgotten about good old fashioned hash. Do you know what hashish really is? More importantly, did you know you can easily make it at home? 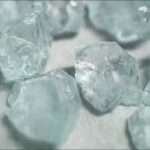 Many of the new methods of extraction are require complicated, and very technical skills. It is challenging, if not outright dangerous to try to make them at home. But hash… hash is a different story altogether. You don’t need high heat, nor do you need to rely on flammable solvents to extract the juicy cannabinoids. There are many ways to make hash at home without all the extravagant bells and whistles of concentrates today. Even if you prefer to purchase your pot products (instead of making them), you’ll be happy to hear dispensaries still carry a variety of high-quality hash products. You might have gotten distracted with all the sparkly new products lining the shelves, but hashish is still around and immensely popular with a particular segment of customers. It’s worth giving it a shot, for the high potency and intense flavor profile. Flavor and aroma are the main reasons people still love smoking hash. Okay newbies, buckle up! Let’s dive into the full definition, history and potent little details of this ancient cannabis product. First up, what is hashish? The product goes by many names, depending on where you live and who is selling it. 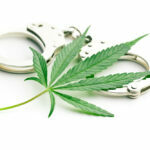 Hash, hashish, and charas are all terms which essentially describe the same thing. Hash is a concentrated cannabis product made up from the trichomes found on the buds, and even sometimes the leaves of the cannabis plant. Over the millennia, humans have experimented with many different ways to separate these beautiful resinous glands from the flower itself. No matter how you do it, the results are always the same: a pot product with higher potency, flavor, and cannabinoid content than the original organic plant material. This is because cannabis trichomes contain the vast majority of the cannabinoids and terpenes of the cannabis plant. The history of cannabis is a long one, with some archeological evidence pointing to China and India as the original OG’s. Over the 6,000 years humans have been using marijuana for ceremonial, spiritual and medicinal purposes, they’ve also found unique ways to work with it. 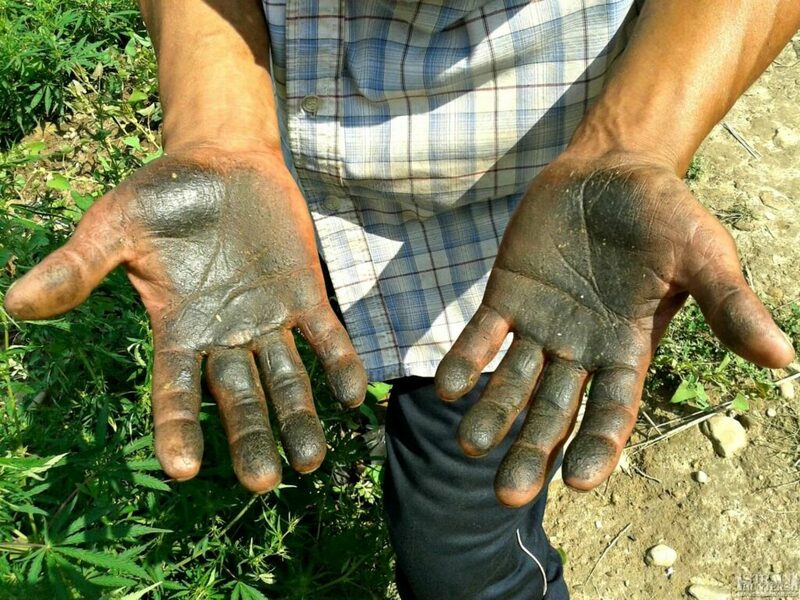 The word hashish has Arabic roots, but there is some suggestion that charas, a Hindi word describing the process of making hash by hand, is the real root of the product. Either way, hash has a long history of use throughout the Indian Sub-Continent and the Middle East. What Does Hashish Look Like? If you have never held a piece of hash in your hand, it comes in a variety of formats. Original material, storage, and method of production all influence the final version. The color of the final products ranges from a golden yellow to a dark brown to a deep green. You’ll also find that the texture changes drastically, mainly depending on the manufacturing process. One of the most common types of hash often comes packaged into a brick for reasons of logistics. This hash has a remarkable fudge-like consistency, which users can break off into more manageable sections. The brick style hash generally isn’t as sticky as the balled up charas. In the global cannabis economy, hash comes from all corners of the earth these days, save the Antarctic. But, most experts agree that hash likely came from what is today the Middle East, with records dating back to 900 AD. Of course, it probably was around before this, but the evidence is sparse. Back in those days, hashish was eaten and not smoked. It spread quickly through Arab countries, eventually even making an appearance in One Thousand and One Arabian Nights. Hashish also played a pivotal role in many religious ceremonies throughout Northern India. In many places in India, it is still used to this day. Europe didn’t get involved until the 1800s when a handful of adventurous doctors spent some time in India, during colonization. They immersed themselves into the local culture, wrote extensively about the medicinal properties about this beautiful herb, and brought these stories back with them to England, France, and Ireland. 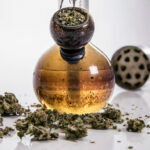 With the widespread adoption of cannabis and hashish as a medicinal product, its popularity shot into the stratosphere. Many pharmaceutical products, well into the 1900’s used hashish as the primary ingredient. People used cannabis for the treatment for just about every health condition you could imagine, from childbirth to headaches to convulsions. Obviously, we all know what happened once prohibition started in the US. It spread throughout the world, even into the Indian motherland. US political pressure forced India to outlaw weed in the 1980’s. Thankfully, this trend has begun to reverse itself, and all-things cannabis related are seeing a popular resurgence as laws loosen around its production and use. What Are the Difference Between Hash and Cannabis? A few decades ago, hippy culture often used the word hash interchangeably with weed. Usually, this was because hash was easier to find thanks to its long shelf life and discreet packaging. But despite this confusion by the 1960’s counter culture, there are very notable differences between cannabis and hash. Cannabis is the ingredient, which when processed, turns into hash. Marijuana is the raw plant material, which often still keeps many of its natural characteristics. A bud of weed still holds the shape of the flower. You’ll often see the tips of leaves, trichomes, and buds in a jar of product. A nug of fresh herb can vary widely in color, but you’ll never see a dark brown or black flower. Hash, on the other hand, is often a deep, dark and earthy color tone. Its consistency is far removed from a fluffy (or even tightly wound) bud. As we mentioned, it can vary in texture but it is usually quite dense. When handled, it will hold its shape like clay. Some stores may sell a fluffier, powder hash, but this is rare. The potency of hash also is quite higher then what you’ll find in straight cannabis. Most strains range in THC content, from 10 to 20 percent. Some reach as high as 30 percent – but typically only premium bud. 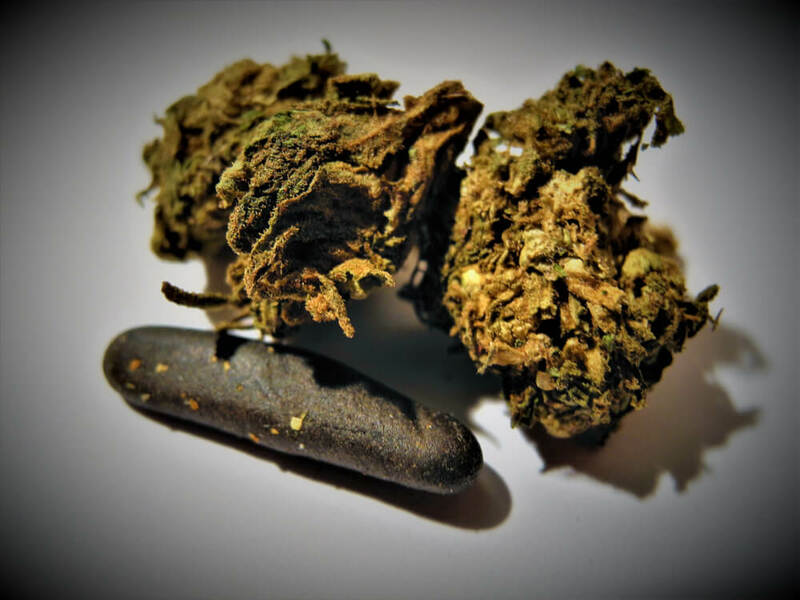 Hashish usually starts measuring in at 40 percent THC, although this may vary depending on original weed used during production. There are many different kinds of hash, often very tied to the regions of their origin. Bubble hash is so named because it combines a bucket of ice, cold, freezer water with cannabis to freeze the trichomes off the bud. Trichomes are very fragile, which means once frozen, the break away from the mother material to settle at the bottom of the bucket. 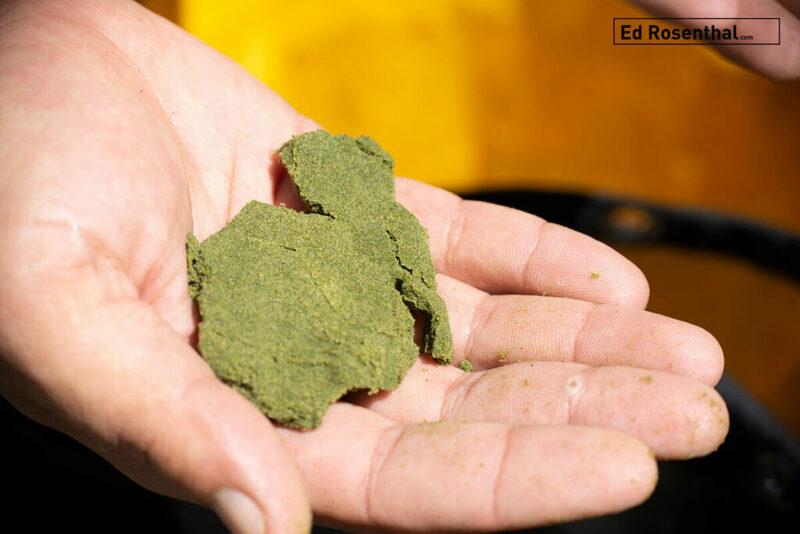 Producers use a series of micron sieves to collect finer and finer degrees of hash, which is dried and packed into bricks of pucks. Bubble hash is the most common style produced in North America. 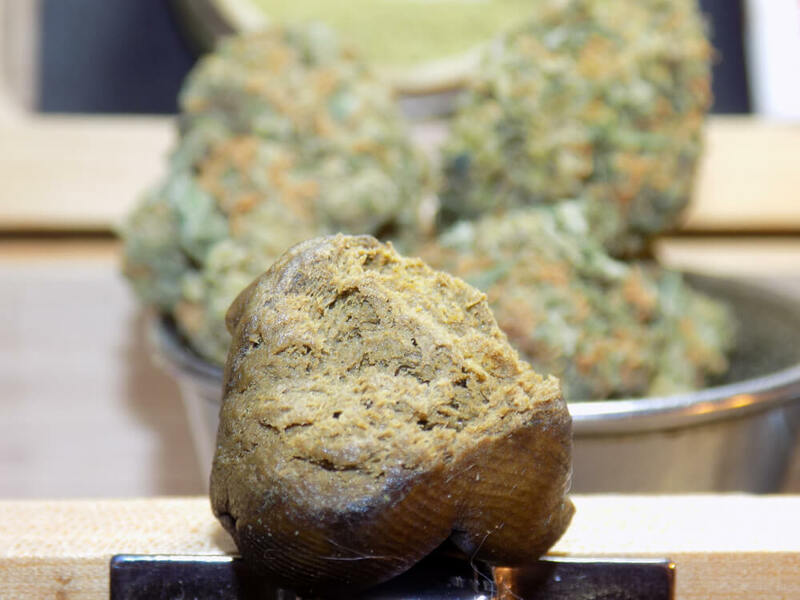 Bubble hash is a common ingredient in hash oil, rosin pressings, and even some tinctures. 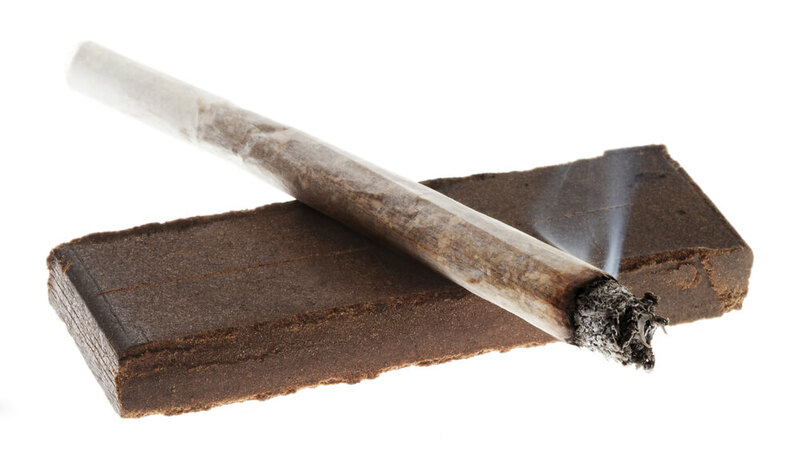 As mentioned earlier, charas are a traditional Indian style of hashish. Their simplicity is what makes them so beautiful. Usually locally made in small villages, the producers only have to rub their hands aggressively over the plant to procure the resin. Often, they don’t even need to cut the buds to get the resin off. The heat and friction transfer the trichomes on to the palm, and then this is carefully collected on to a surface. The crumbs of resin are rolled into perfect glistening balls, known as charas or temple balls. Sometimes also called Border Hash, this Afghani method combines dried trichomes with water or tea to produce a flavorful final product. 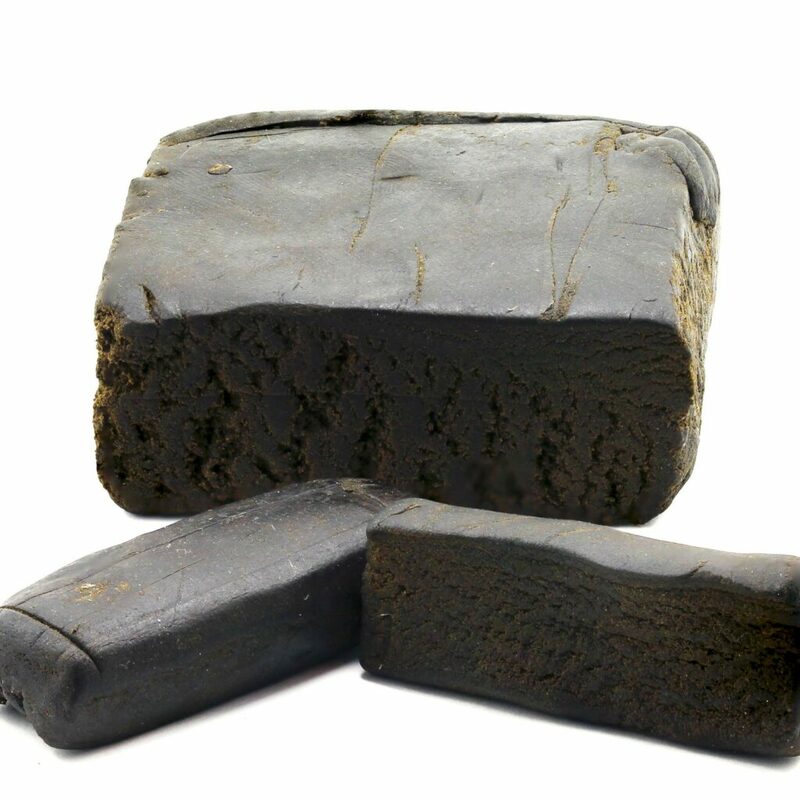 The dried hash bricks, heated over an open flame and mixed carefully with a liquid, are then needed by hand until the maker achieves a dough-like consistency. Many traditionalists prefer Royal afghani hash because of its very unique flavor profile. The final product is super smooth and extremely dark in color. It shouldn’t be a surprise that you make finger hash with your fingers. Often made from the trichomes stuck to the hands and gloves of trimmers, its a cheap and accessible way to make hash with absolutely no technical skill required. Want to make some yourself? Start trimming your next homegrown crop. Within a few hours of trim work, your fingers will get frustratingly sticky. Rub them together to remove the unwanted resin, and collect the crumbs in a small container. When you have a little stash of finger crumbs, its easy to combine into a beautiful nug of finger hash. Technically speaking, hash oil is a hash product, but in today’s environment of concentrate culture, it’ll need its own in-depth guide. Hash oil, made from complicated solvent-based extraction methods (or rosin pressing), is an even stronger type of concentrate. It can reach potencies of up to 90 percent THC. True to its name, it is also an oily consistency. Densely, sticky, and often more amber in color. Part of the beauty of hash is its diverse uses. It’s even more useful to the cannabis enthusiast than fresh flower, or even oil. The world of hash is truly a magical and adaptable place. Historically, people actually ate hashish for medicinal, spiritual, and euphoric effects. As it moved beyond the Arab world, and into India, people began smoking it. Today, it’s used as the base ingredient for most concentrates like oils, waxes, and shatters, as well as combined infusions during edible production. The most traditional way to use hash is still to smoke it. Pipes, one-hitters, and bubblers are the easiest way to do this. Crumble up a piece into the bowl, light, and inhale. If your college days are calling you, hot knives also work with hash. 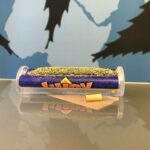 Rolling a pure hash joint or blunt is technically feasible, but it works best if you sprinkle the hash over fresh buds instead of being the sole ingredient. If you prefer dabs, you are in luck! Hash oil products are very dab-able. 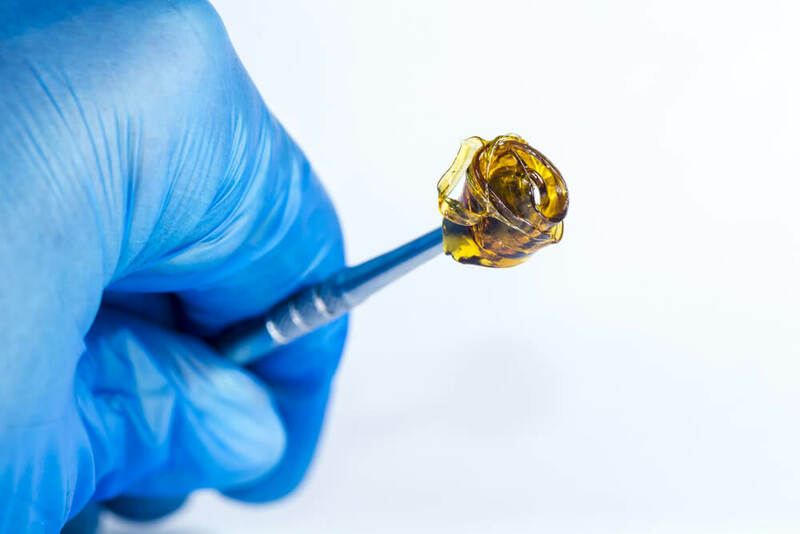 Dabbing instructions vary by the rig and concentrate, but always involve the same basic process: heat the nail to the desired temperature, dab a bit of hash oil into it, and inhale. Get ready for a hard and fast hitting high. Have a few plants at home or a pound or so of fresh flower? It’s time to make charas. The key to charas production is the cannabis must be fresh. Dried out, and cured cannabis doesn’t provide the same effects. Rub the leaves, stalks, and flowers vigorously between your hands. The hotter the friction, the more resin melts onto your palms. 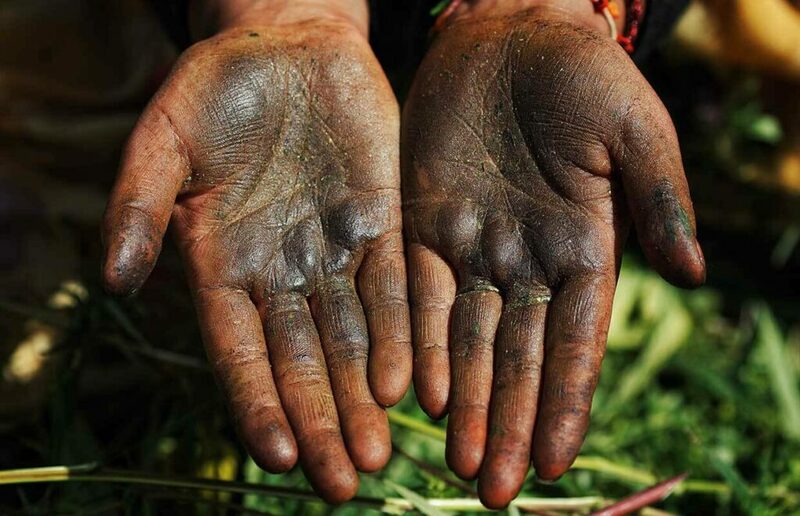 Once your fingers and palms are thoroughly coated in a sticky black layer, begin rubbing your hands together. The resin should rub off in crumbles, almost as if you were rubbing mud off your hands. It’s best to do this process over a large piece of paper to collect all the crumbs. When your hands are clean, gather the crumbs of hashish, and roll together into a beautiful ball of THC. Does your grinder have a third compartment dedicated to collecting kief? If its full, why not turn that little gold mine into hash! There are two ways to do this, one with just your fingers, and another with a hash press. You can find hash presses at pot shops, or online. These gadgets use pressure to compress kief into pucks of hash, which are then easy to handle and delicious to smoke. This is a hash production method for the busy entrepreneur on the go. If you don’t have enough time to sit around all day and roll kief around with your fingers, make hash while you run errands. So long as you have a sturdy pair of shoes and clean feet, you’ve got the tools needed to pump out perfect bricks of shoe hash. Place a few grams of kief into a piece of tin foil or parchment paper. Fold carefully into a package which fits rather comfortably between your heel and the sole of your shoe. You’ll want to ensure the paper or foil wraps around the kief, to avoid the risk of product leaking out. Some also suggest poking a small pinhole into the top and bottom of the package to allow air flow. Once properly packaged, perhaps with a bit of tap to ensure it doesn’t unravel, place under your heel in a pair of hard-soled enclosed shoes. Flip flops and gym shoes won’t work. Walk around for roughly 15 to 20 minutes, which uses heat and pressure to form a slab of hashish. It goes without saying, you should use a new pair of shoes, nice clean socks and wash your feet beforehand. The hot water bottle method avoids the problem of getting your hands dirty. It also doesn’t require clean feet. Package a few grams of kief into a sheet of parchment paper, and fold in a way that seals the contents inside. While you are doing this step, have a kettle ready to go with boiling water. Once the package is sealed, and the water piping hot, pour the water into an open wine bottle. Seal the bottle, and set it on top of the package for a few minutes. The intense heat should eventually start to melt the resin together, mimicking the body heat used in other methods. You should be able to see the resin soften through the paper, but you can also take a little peak if needed. If the resin isn’t gumming up as you want it to, try rolling the hot water wine bottle over the package a few times. You only need to apply gentle pressure and a few rolls. Eventually, it’ll begin to come together. You can either store the hot water bottle hash as is, in an airtight container, or roll into what is known as a temple ball. This is the format charas usually come in, and are beautiful to behold. First, roughly chop the cannabis before pouring it straight into the clean bucket. Place a few roughly cut chunks of dry ice (using gloves!) into the bucket right alongside the weed. Shake the hash bucket and all its contents vigorously for four, maybe five minutes. Soon, you should begin to see the trichomes break free from the flowers and fine dust develops. The dry ice instantly freezers the trichomes, which means they become fragile and can’t stand up to the agitation. Once you’ve shaken for five minutes, cover the bucket with the micron bag. Carefully invert the bucket over a large, clean surface. A table-sized piece of parchment or a shallow tray works well. As you shake the bucket upside down over the table, a mist of green dust should puff out of the micron filter. 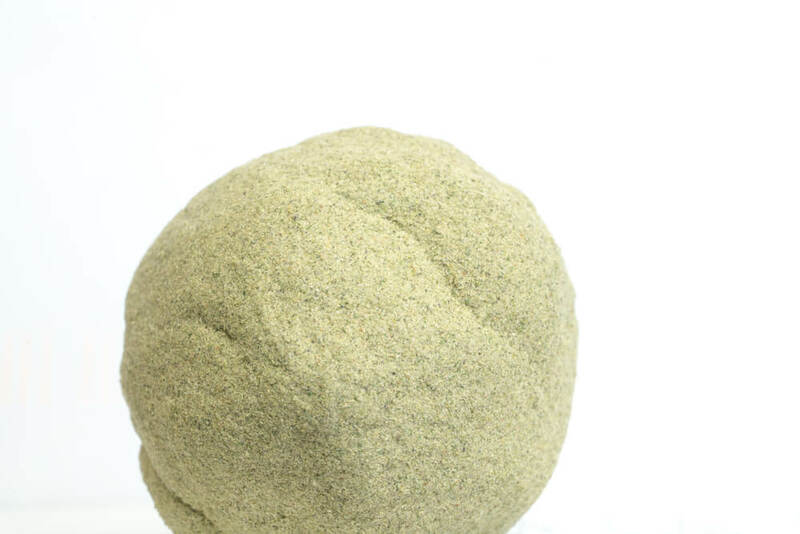 This is your kief, which can then go through any of your preferred hash making processes listed above. Blender hash was made famous by the Trailer Park Boys, but even they have admitted they can’t take credit for it. It’s a quick and dirty way to remove the crystal from the flowers, all without any manual labor. The only tools of the job? A blender and a freezer! Step one, place the glass blender and weed into the freezer, for at least twenty minutes. Once thoroughly frosty, and the cannabis brittle, break the cannabis up and throw it back into the blender. The second step of blender hash is to blend. With a few short bursts, your frozen weed should quickly disintegrate into powder. Pulse the blender a few more times for good measure, then dump the finely ground cannabis out on to a tray. You’ll see the glass of the blender coated in a cloud of light green dust, which is the frozen trichomes. Use your fingers to collect as much as possible, then roll into a little ball of potent hashish. Dry sifting for hash is a relatively basic method, which doesn’t need any of the gimmicks of shoe hash nor the power of blender hash. It does require you have a fine micron screen on hand, perhaps between 100 to 220 microns in size. The physical size of the screen doesn’t matter, but the larger the surface, the more cannabis you can process at a time. Over a glass table or large piece of parchment paper, place the screen on blocks so that it is slightly elevated from the surface. Place a few handfuls of well cured (crispy dry) bud over the surface of the screen. Using your hands, gentle work through the flower, moving it, rubbing it carefully together, which allows the trichomes to fall off on to the screen. This isn’t an aggressive movement, but enough to shake the dust off. 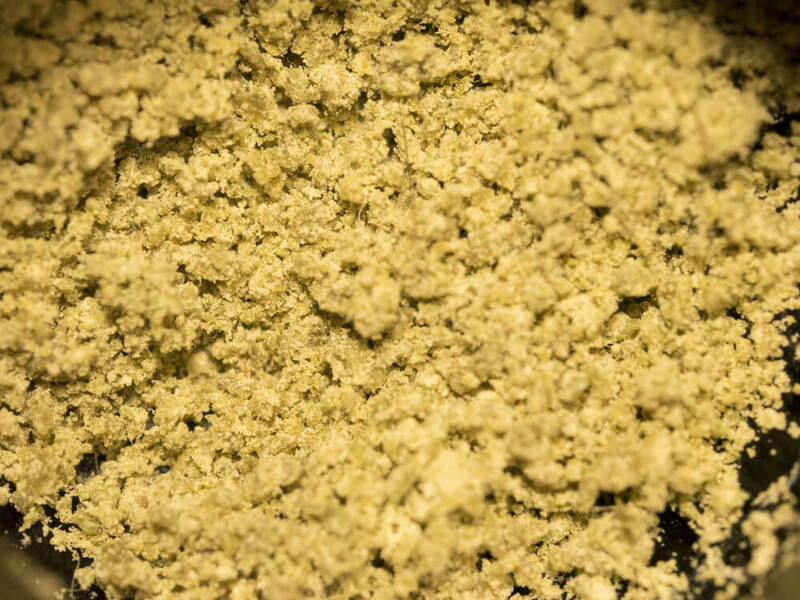 After a few minutes, check the surface under the screen for kief. You’ll see a golden dust settled over the table. Collect, and process into hashish in any of the ways listed above. 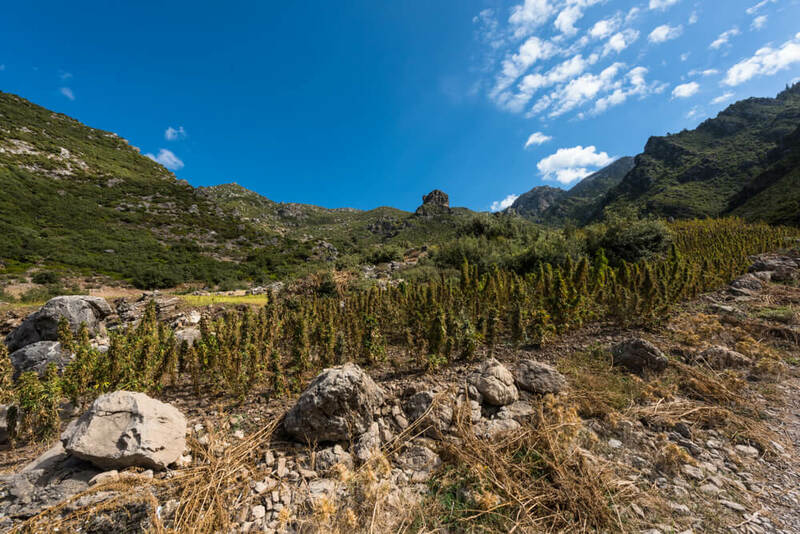 Hashish is deeply rooted in the history of cannabis. For just about as long as we have used weed, we have used hashish. It’s a shame that the younger generation is so unfamiliar with it, even if many of the cannabis products they use actually start off as hashish. 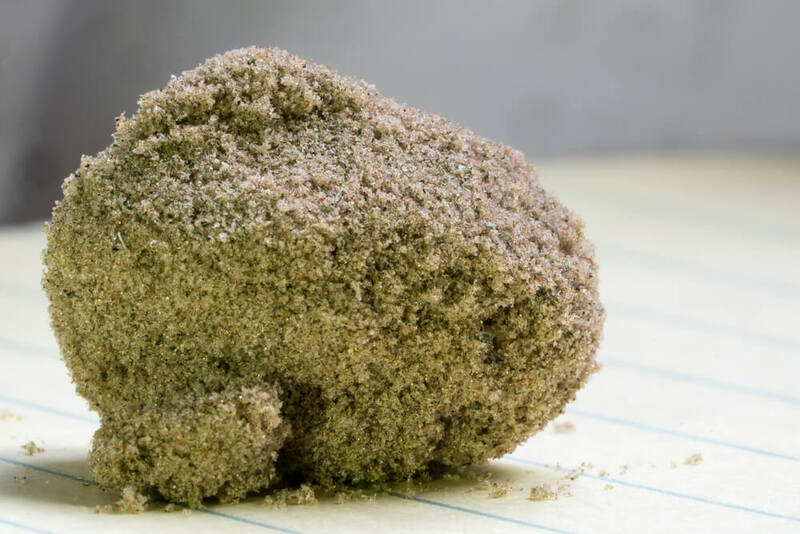 With the numerous ways to collect kief, and make hash at home, it’s well worth your while to experiment with your crystal. It’s delicious smelling (and tasting) cannabis concentrate with no special equipment needed to make it.